This Rwandan Board is responsible for the running of our programmes on the ground. It is composed of four parent representatives, Sifa, Albert, Jeannette and Anastase, two mothers and two fathers elected from amongst the parents of our beneficiaries. Also on is Eric, the Executive secretary of Kigarama Cell, as well as Prince and Jean, two individuals who have volunteered with Children of Rwanda since it began in 2014. Nobody knows what these communities need more the communities themselves. Having a body that represents our beneficiaries at the heart of our decision making process allows us to ensure we are meeting the needs of our beneficiaries. JeandeDieu has volunteered for Children of Rwanda for the past two years. 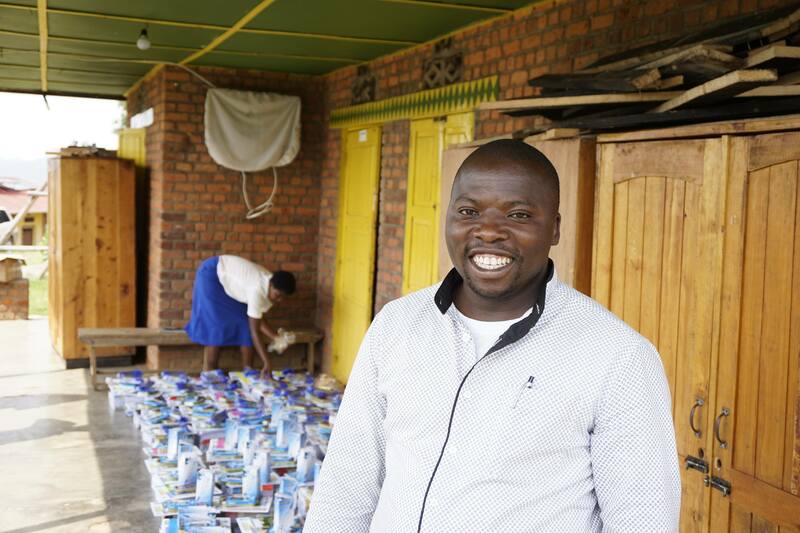 He now delivers Children of Rwanda’s programmes as an employ, monitoring schools, making sure students are able to attend school, working with children who dropout of school and delivering farming training to local communities. 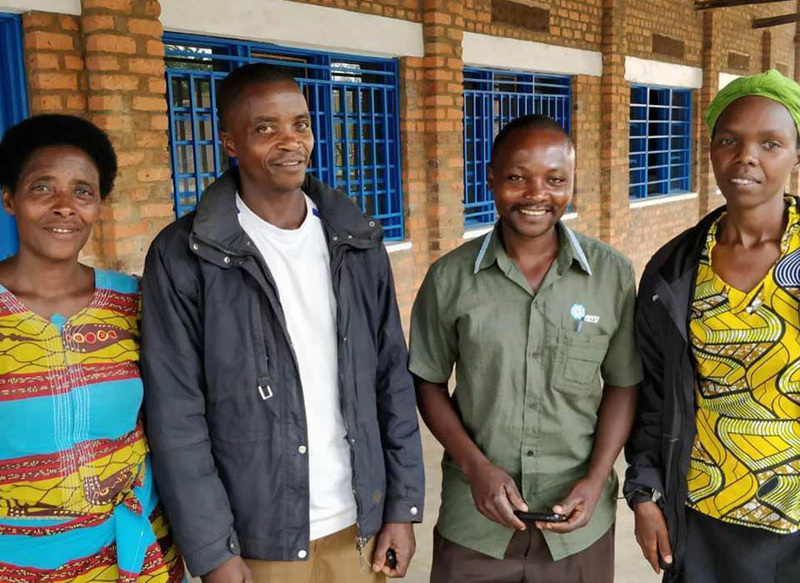 JeandeDieu lives in the communities that Children of Rwanda serves and is so trusted by our beneficiaries that they wanted to vote him on the council as their representative! Robbie founded Children of Rwanda while visiting the country as part of dissertation research for his MA in Politics and International relations. He has since dedicated his education and career to charity, obtaining an MSC in NGO Management and PGDip in Charity Marketing and Fundraising while working in the sector as a researcher and fundraiser. He visits the community Children of Rwanda work with every year, organising our presence on the ground. Kerrie is Managing Director at the Intensive Care National Audit & Research Centre (ICNARC) an independent organisation providing high quality scientific data to improve the quality of care for critically ill patients and their families in the UK. Prior to joining ICNARC, Kerrie has held a variety of board-level and senior roles within the not-for-profit sector, including Gingerbread, and NATCEN. Kerrie is proud to be part of a team supporting Children of Rwanda. Marie-Laure is a finance professional who started her career within EY France auditing companies. After 12 years, Marie moved to London as the Director of Finance for a hospitality group and began volunteering with Children of Rwanda, eventually becoming a trustee for the charity. Marie loves working with Children of Rwanda as she truly believes in the power of education and the idea that every child deserves to benefit from schooling and healthcare. Alice is the Events Officer at Media Trust and has a background in international development and communications. Starting her career by volunteering in a community support project in Ghana, Alice gained a passion for children's rights, education and a love for the charity sector. Alice has since worked for NGOs such as ActionAid International, WE and, most recently, Media Trust. She loves Children of Rwanda because they are passionate about children being able to benefit from schooling. Bayo has more than 25 years’ experience spanning local authorities, housing associations, and the private sector. He has extensive experience working with local communities, residents, public and private sector bodies having worked on various housing initiatives involving both interim management and consulting assignments. Bayo is a fellow of the chartered institute of housing, a trustee and school governor. He loves being involved with a charity so passionate about education and healthcare. Rahzeb has more than 27 years’ experience of delivering of managing complex, multi-component projects, often in the international development sector. He has focused on advising governments on improving public services and encouraging private sector-led growth. He has led initiatives that are often politically high profile and has worked across many developing countries. He is passionate about creating opportunities for children that enable them to participate in the benefits of economic growth. With over 15 years’ experience, Marie’s career has been spent in journalism, commercial strategy and business management. She has led and worked on a number of projects to deliver systemic change and positive impacts for both people and the environment. Having worked in Africa, Marie witnessed first-hand how important a sustainable and affordable access to child healthcare and education is. She is proud to be contributing a project that helps to lift the barriers to education in Rwanda. Jon has over 10 years' experience in the charity sector, supporting organisations that promote social justice and educational causes and currently as Head of Cultural Development at the British Science Association. Jon's passion for international development began when he volunteered in Romania, he has since been driven to support small charities like Children of Rwanda, and ensure that children can have a better start in life through their access to schooling.